The ICG officials arrested the Sri Lankan fishermen, about 94-km off Nagapattinam, TN and had a total catch of around 4,200 kg onboard. Visakhapatnam: Indian Coast Guard Ship ‘Shaurya’ has apprehended 25 fishermen in five boats from Sri Lanka while they were illegally fishing in Indian waters. The ship was on a routine surveillance deployment in the Bay of Bengal. 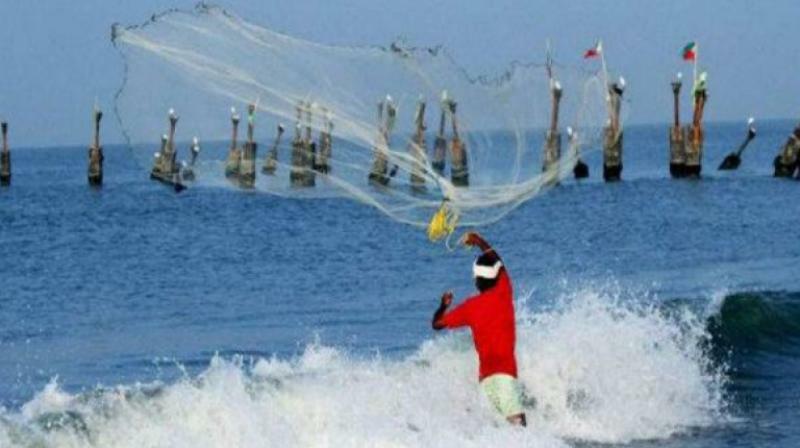 The ICG officials arrested the Sri Lankan fishermen, about 94-km off Nagapattinam, Tamil Nadu and had a total catch of around 4,200 kg onboard. All the five boats were brought to Karaikal Harbour for joint investigation by relevant security agencies and handed over to the Marine Police at Vedaranyan in Tamil Nadu on Tuesday. “The ICG is maintaining constant vigil on the eastern seaboard with regular deployment of ships and aircraft. It is mandated to monitor and prevent illegal fishing,” Eastern Seaboard Headquarters said.